CHIARAVALLI introduces his mechanical speed variators line with oil bath lubrication CHV series sizes 02-05-10. The screws under the handwheel are well adjusted,don’t touch them.Don’t adjust the handwheel when the motor is off,this can cause internal breaking. Speed variators are filled with oil, check the level before running. After the running-in the oil must be changed, check the level periodically. The temperature after the running-in can reach 50/55°C over room temperature. 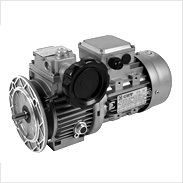 When the variator is supplied without motor make sure that the assembled one is at least “normal”class quality and the connection is not forced. 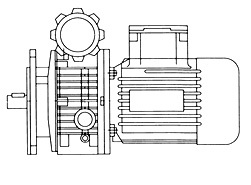 Speed variators are supplied with closed oil plugs. You can search by the speed variator dimensions, then you will be provided with all possible options. Enter speed variator size dimension.